10 Historic Places near Gatlinburg to Check Out on your Next Trip! The Smoky Mountains are known for their majestic views and outdoor activities. Though their history and rich culture sometimes get lost in the shuffle of camping gear and bright arcade lights, the truth is that without the historic journey of the Great Smoky Mountains we might have never had a park! There is so much to do in the Smokies that you’ll never run out of things to do! As a history lover and weekend explorer, I have enjoyed getting to know my new backyard! As I make my way from through old country cemeteries and historical archives, I’ve been slowly connecting the dots around Sevier County and Smoky Mountains. We’ve come up with some of our favorite Historic Places near Gatlinburg. Here you will read the stories of those who shaped the future of Tennessee. You will go back though the years to a simpler time, but not necessarily an easier life. The museum is 65 acres that feature 35 log cabins, barns, farm animals, churches, schools, and gardens that houses a collection of over 250,000 artifacts! With collections of folk art, musical instruments, baskets, quilts, and Native American artifacts, anyone with a penchant for local history is sure to enjoy their time here. The Museum is Smithsonian Affiliate museum too! 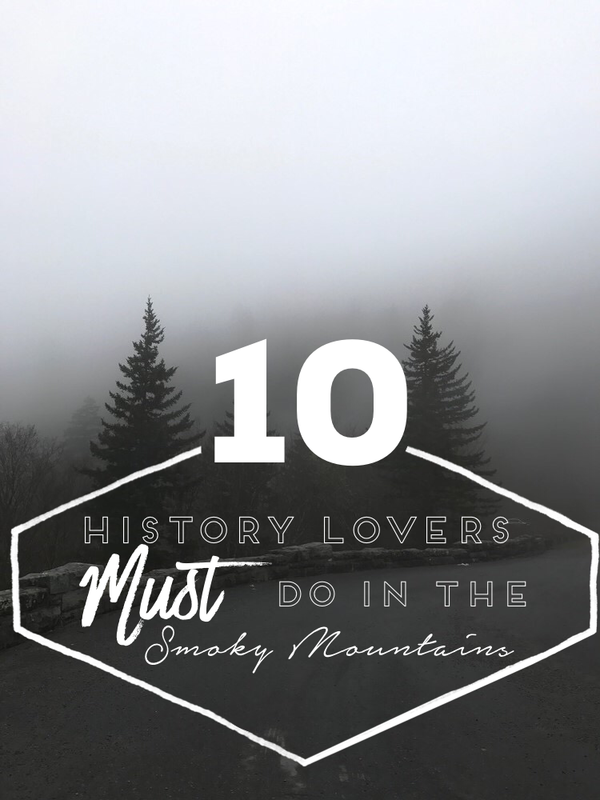 A place that has been written about many times on this blog, is full of Smoky Mountain culture and old buildings that are well worth the drive! The Cove is a favorite for wildlife viewing and features 17 historic sites along the 11-mile one way scenic loop. Many a summers were spent here with my grandfather when I was growing up and is a big part of what motivated me to move to the Smoky Mountains. 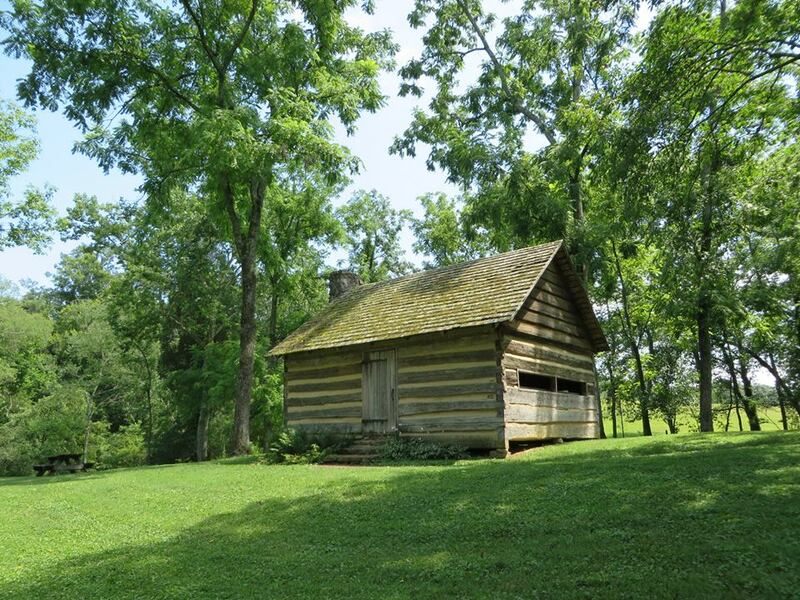 The Historic Sam Houston Schoolhouse is a one-room log building that sits between Knoxville and Maryville. It was built in 1794 and is named for Sam Houston, a man with a colorful life who as a way to pay off $100 in debt he owed at the general store Sam taught school in 1812 at the local school house. The perfect place where you can explore East Tennessee’s past with a personal invitation from the East Tennessee Historical Society. At the museum you will learn about the people, places, and events that shaped the region through award-winning exhibits. The Museum is located in the heart of downtown Knoxville, directly across the street from the Tennessee Theatre and just blocks from other historic attractions, such as Blount Mansion and James White’s Fort. If you are feeling extra adventurous, consider doing a historic walking tour of Knoxville. Located just 3/4 of a mile from the west entrance to the National Park, the Great Smoky Mountains Heritage Center is dedicated to celebrating the unique human history and rich cultural heritage of the area. You will you find a historic village that allows you to see what life in Appalachian communities was like in the early 1900’s as well as Native American artifacts. 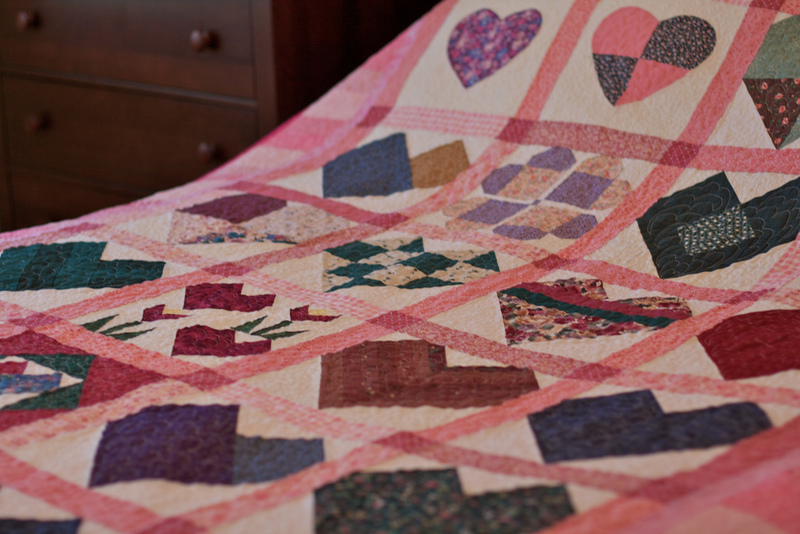 Few things are more American than apple pie and quilts. 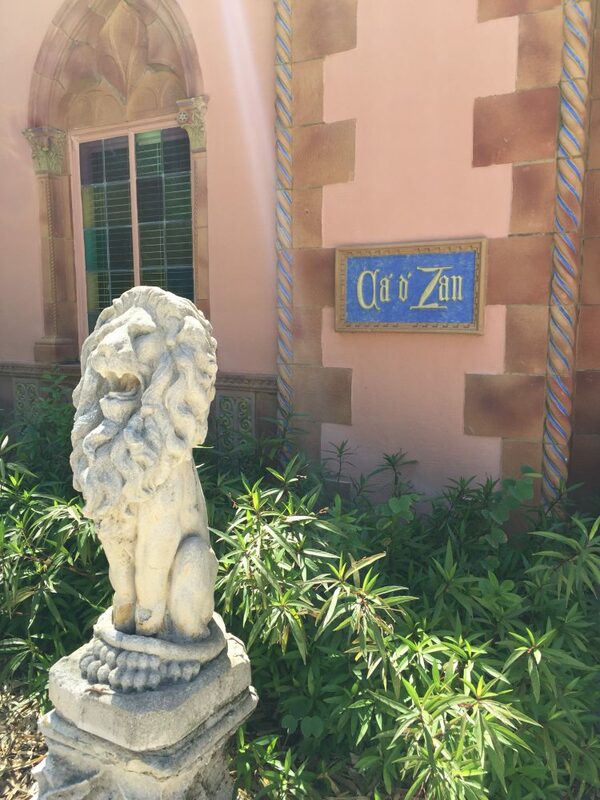 Along the trail you will find historic century farms, antiques, museums, historic sites, galleries, local restaurants, national and state parks, bed and breakfasts, cabins, outdoor adventures, and much more. With over 500 sites to visit, this is the perfect way to discover the local history of Appalachia. If you come into the National Park via Cherokee, you will come to the Mountain Farm Museum at the Oconaluftee Visitor Center. There you will find historic buildings that show you what mountain farm life was like before the National Park came into existence. If you are lucky too, you can catch the elk heard that is currently being reintroduced to the park! A short drive down from the Mountain Farm Museum you will find the historic Mingus Mill. Finished in 1886, the mill is one of the most advanced in the Smokies. 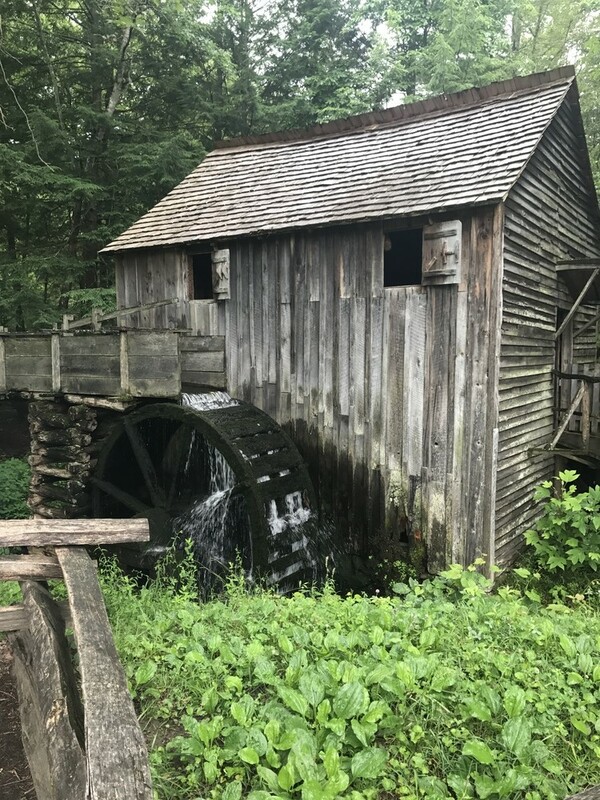 Mills are a huge part of life in the Smokies and seeing such a historically important one is something every history buff will love. Sevierville is close to Pigeon Forge and Gatlinburg. And it is full of history! 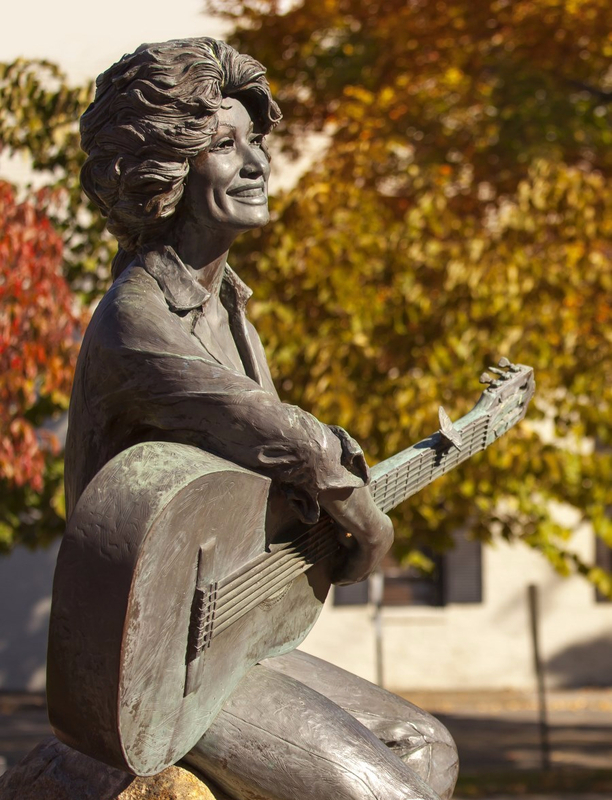 On this tour you will see Dolly Parton’s statue, the courthouse, and numerous historic sites and buildings. Check out the Historic Sevierville Walking Tour Here. The National Park was once privately held land, so to see pieces of human history sprinkled about is one of my favorite things about it. The Little Greenbriar School House is on the National Register of Historic Places and was built in 1882. A stones throw away, you will find a cemetery, making this not just any school house. This is probably one of my favorite Historic Places near Gatlinburg to check out too! 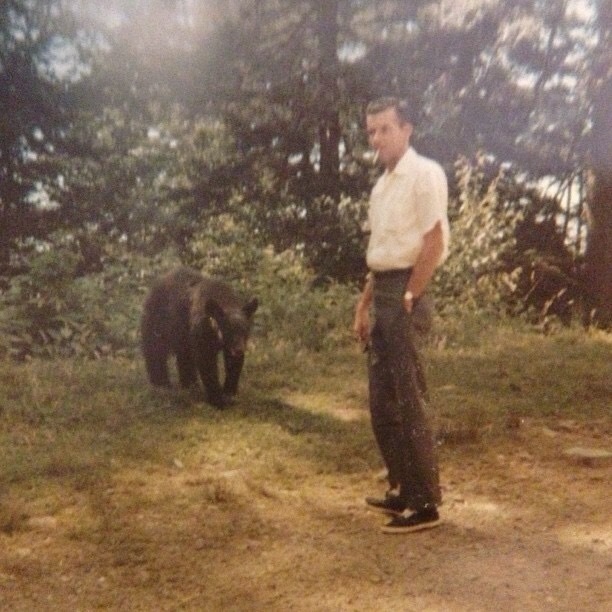 He was part Cherokee and always seemed to know when it was going to rain and had a way with animals. His love of the mountains was contagious. I have always wanted to visit the Smoky Mountains, it looks so beautiful there! I love Cades Cove but not sure I’ve been to many of these others! Great ideas! Makes me miss the mountains. I love visiting historical spots when traveling, it makes the trip so much more interesting! 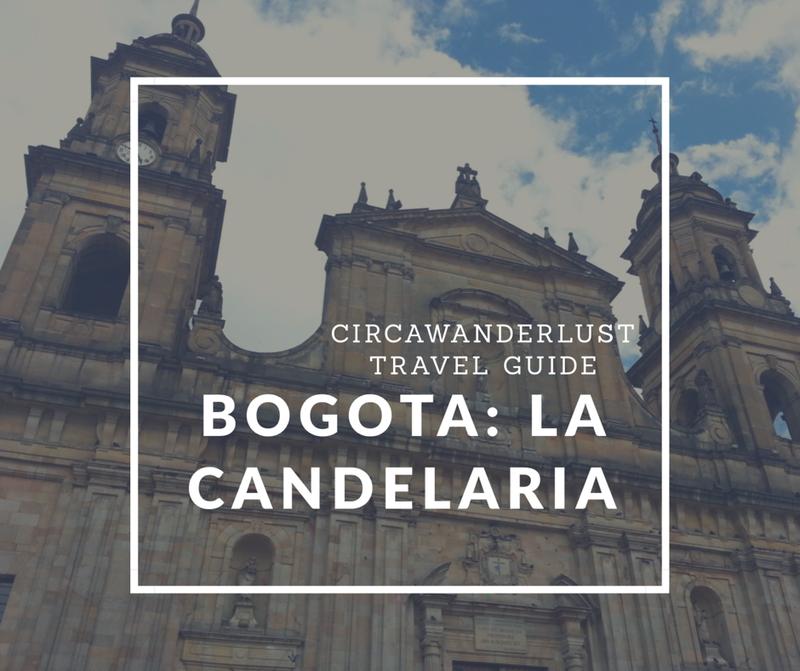 These all look like great places to visit! Thanks for putting a few on my list!